Note: Some machines were supplied with 1.5 times height floppy drives, in this case the second externally accessible 3.5" bay is fairly useless as it's only half height. Note: Some machines were shipped with single height drives, others had 1.5 times height drives. Battery Backed Up Clock: Yes, uses "Barrel" shaped batteries, except Rev D which uses "Coin" shaped batteries. The A4000 is often seen as the big brother of the A1200 but was targetted more at productivity users, rather than gamers. The A4000 was seen as a disappointment to many after the reception that the A3000 received. 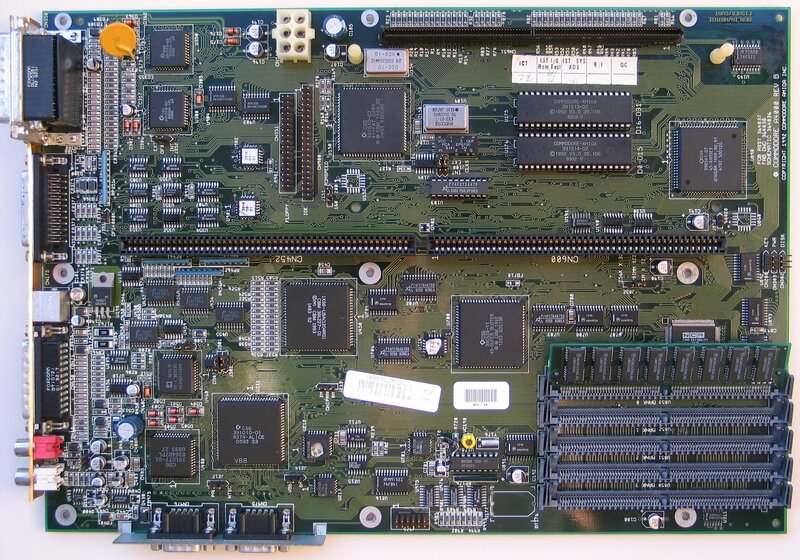 Although it uses a newer ROM and Chipset, the onboard SCSI-II had been replaced with a significantly slower IDE Controller (PIO Mode 0) and it did not contain the scandoubling hardware for attaching PC VGA type monitors which the A3000 did. Significant improvements were however, made to the Zorro III bus design particularly with regards to DMA and bus mastering that fixed many problems which plagued the A3000, providing you had a Rev 11 buster. Unlike most other big box Amigas the A4000 uses a PS/2 style keyboard connector, however the signals and keyboard clock that the A4000 uses are not the same as the PC so you cannot use PC PS/2 keyboards. 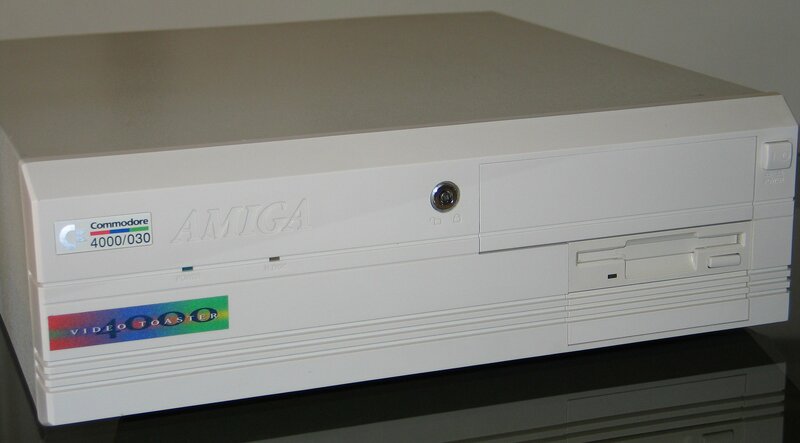 Like most big box Amigas the A4000 also has a keylock which effectively works by removing power from the keyboard and mouse rendering the machine fairly useless. 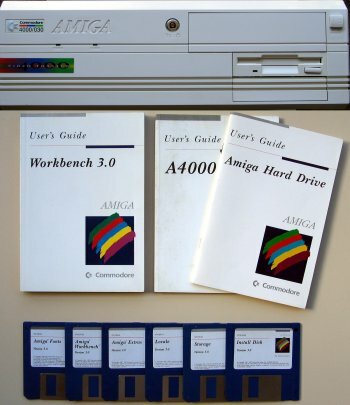 Some A4000's may have been released which contained 020 CPU's, as the A3630 that was supplied with the A4000 can also be fitted with an 020 and there is one claim that Commodore donated an 020 based A4000 as a prize at The Gathering '92. 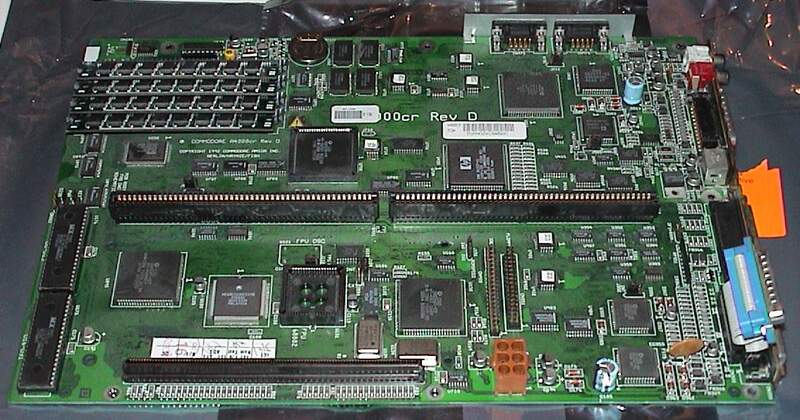 A4000's with a Rev D motherboard differ slightly from the other versions and are dubbed "A4000-CR" which stands for "Cost Reduced". It was an attempt to reduce the cost of manufacturing the A4000. 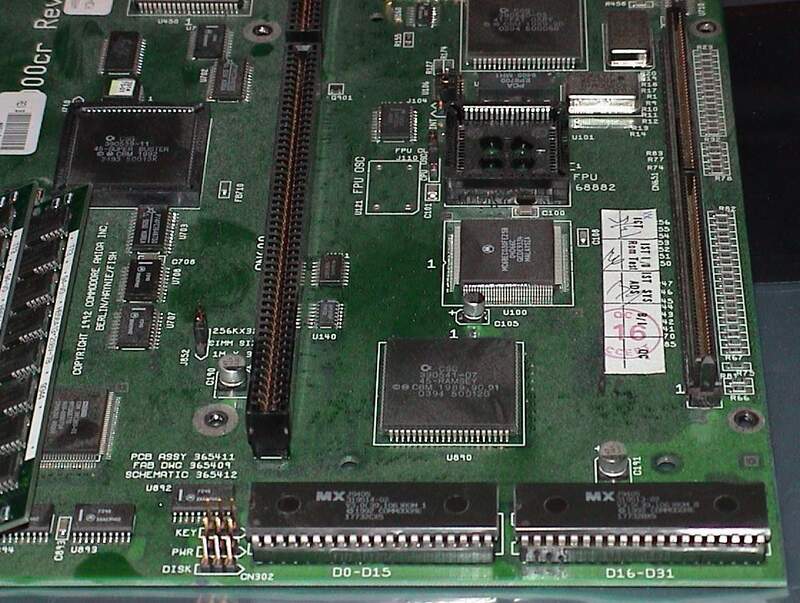 Most A4000's were shipped with a separate processor card connected to the CPU fast slot however the A4000-CR had an 030 soldered directly to the motherboard therefore a processor card was not required. It still contained the CPU fast slot however for attaching accelerators. 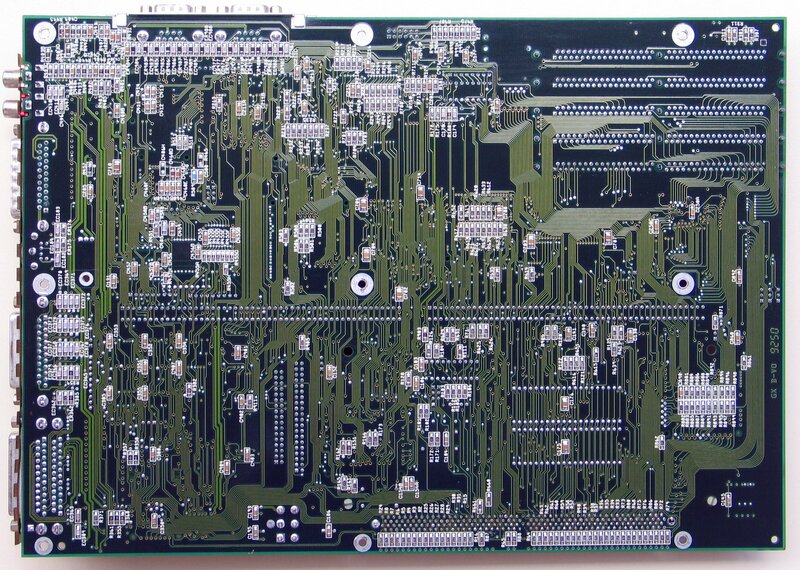 In addition to this Commodore also removed the fifth SIMM slot which is reserved for CHIP ram and soldered the CHIP directly to the motherboard. As all A4000s were supplied with 2MB CHIP by default, the fifth SIMM slot was rather useless because the AGA chipset could not address more than 2MB of CHIP. Commodore had planned to give the A4000 the ability to address up to 8MB of CHIP and indeed a jumper can be found on the motherboard which would have been used for this purpose, but the jumper actually does nothing.